Apartment rental, MÉRIBEL, any comfort, charm, luxury, for family or friends up to 11 people. Fully equipped apartment for 11 people. This apartment has been imagined by its owners as a contemporary chalet combining conviviality, aesthetics and functionality, to enjoy your holidays with family or friends. 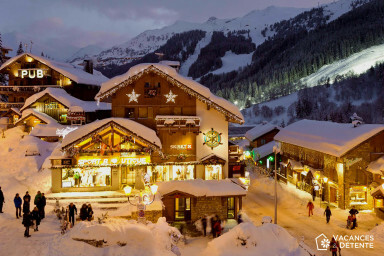 Located in the residence Les Ravines, in the heart of the resort of Méribel, village labeled Famille Plus, renowned for its charm with its wooden and stone chalets on the mountainside. Near the residence: ski school, nursery, packages, bakery, restaurants, supermarket, equipment rental.